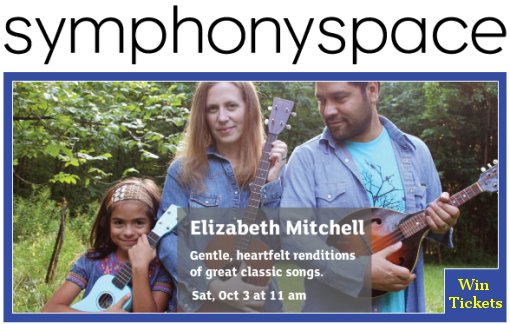 Win Tickets to Elizabeth Mitchell at Symphony Space on October 3, 2009! Symphony Space has some excellent concerts and events lined up for their 2009-2010 Family Season including mega kiddie acts like Ralph’s World and Brooklyn favorites such as, Randy Kaplan, Astrograss and Gustafer Yellowgold, just to name a few. The new season kicks off on Saturday, October 3 with the Woodstock based folk-rock singer Elizabeth Mitchell who will charm both children and adults alike with her renditions of songs by artists ranging from Bob Dylan to Bob Marley. In celebration of the new season, (and because I love giveaways), I’m giving away family four-pack of tickets to Elizabeth Mitchell at Symphony Space to one lucky reader who emails me at contests@bumpershine.com and tells me the name of their favorite family/kids album. A random winner will be chosen and notified on Wednesday, September 30. View the entire 2009-2010 Symphony Space season of family programming over here. It’s officially fall now, and not only does that mean back to school, but it also means that there is a bumper crop of children’s fare available on home video, at the movie theatres and even at the record store (if they still have a record store where you live, that is). 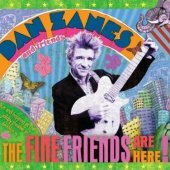 This Tuesday (September 22) marked the release of The Fine Friends Are Here, the latest DVD from venerable Brooklyn entertainer Dan Zanes (his first DVD in four years, and his first release for Razor and Tie). The new DVD, recorded live at The Jalopy Theatre in Red Hook, Brooklyn, contains 13 live tracks, 3 new videos and a four-song bonus cd of late-night (read “lullaby”) music. The songs and videos on the new disc draw from Zanes’ fine back catalog, with over half the tunes coming his most recent albums, Catch That Train and Nueva York and the rest being drawn from Family Dance, and a few of his various older releases. The new DVD is a huge step up from his previous wildly successful video release, All Around The Kitchen (which I watched until it was etched in my brain) in terms of production quality. The transitions between songs are seamless and clever, the band is well lit for the entire performance (a real fault of the first video if you ask me), the direction is well thought out, the camerawork is solid (not shaky), and the image you see on your screen just looks about 100 times better than the last DVD, in fact, it looks like the show was captured on film (though I suspect it was probably some form of HD video). Sure it’s a much slicker package this time around, but when all is said and done, it’s really the songs and the performances that make this new video a winner. Though Dan has assembled an almost completely new band since Kitchen was released (long time drummer Colin Brooks remains), the new players can still “bring the party”, and the joy and enthusiasm taken in the rendition of each song is directly reflected on the faces of the audience members at the Jalopy and should carry over to those viewing at home too. On a final note, it was nice to see that they got rid of the cookie cutter Noggin videos that were included in the last DVD and created some cute original videos for this new release. Like you might expect, Dan has a few DVD release shows lined up in the near future, he’ll be playing on Friday, September 25 (tomorrow) at the Housing Works Bookstore and Cafe and then again at the 92Y Tribeca on September 30 at 4PM. View all of Dan Zanes upcoming tour dates and the track list for the The Fine Friends Are Here over here. In TV soundtrack news, on October 20, 2009 the gang from Yo Gabba Gabba, one of the most indie savvy kids programs on TV, will release a new album full of songs from the show as performed by some of your favorite artists including: Of Montreal, Mark Kozelek, The Shins, The Roots and many more artists you wouldn’t expect to find on the Nickelodeon Channel. In celebration of this release, the YGG stars (DJ Lance Rock, Lance Robertson; Brobee, the little green one; Foofa, the pink flower bubble; Muno, the red Cyclops; Toodee, the blue cat-dragon; and Plex) are headed out on a small three city tour which will make its way to the Beacon Theatre in NYC on November 21, 2009, tickets for that show go on sale on October 9. 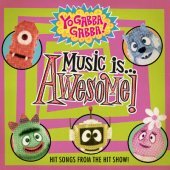 View the track list for Yo Gabba Gabba! Music is Awesome! over here. 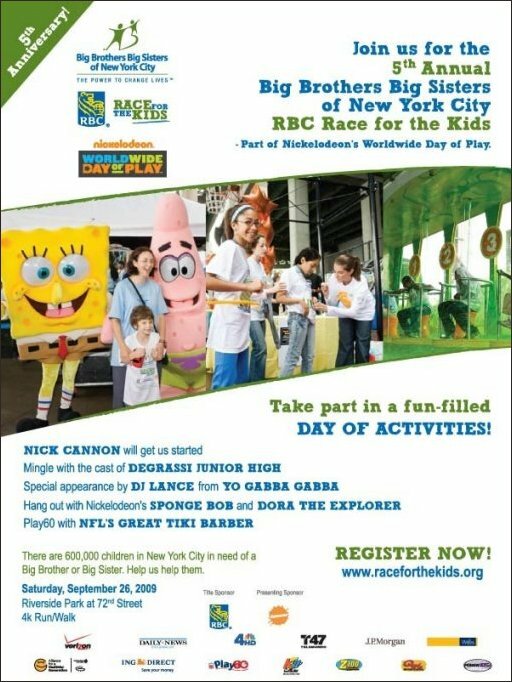 One last thing, YGG Live isn’t DJ Lance‘s only upcoming local appearance, he’ll be appearing this Saturday, September 26 at Riverside Park as part of the RBC Race For The Kids, and then again on Sunday, October 4 at the New York Times Great Children’s Read at Columbia University. 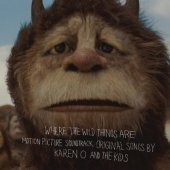 Last but not least, Spike Jonze‘s long delayed, yet much anticipated movie adaptation of Maurice Sendak‘s beloved children’s book Where The Wild Things Are will be released in theaters nationwide on October 16, with the official soundtrack dropping on September 29. The soundtrack features original songs by Karen O and The Kids (“The Kids” includes Tristan Bechet, Tom Biller, Bradford Cox, Brian Chase, Dean Fertita, Aaron Hemphill, Greg Kurstin, Jack Lawrence, Oscar Michel, Imaad Wasif, Nick Zinner and an untrained children’s choir) and to celebrate the new release in style, Karen O and her other band, the Yeah Yeah Yeahs will be performing an intimate show at The Music Hall of Williamsburg on September 29, 2009. Tons more fall and winter family events from The New York Times, 92Y Tribeca, New Victory Theatre, The Bell House, Brooklyn Center For The Performing Arts, The Jewish Museum, Symphony Space, Kidrockers and other fine NY institutions after the jump. 09/30/09 4 pm Dan Zanes: The Fine Friends Are Here! 12/05/09 10:30am & 12 pm Things That Go Bang! 12/06/09 1 pm & 2:30 pm Things That Go Bang! 10/25/09 1 pm Neon Indian and Real Estate. Hosted by Seth Herzog and Craig Baldo. 09/27 des moines, ia every family rocks!